Very excited announcement in this Sports Geek Podcast, we are happy to announce in partnership with Trendsmap.com the first Sports Trendsmap built for the A-League All-Stars game against Manchester United. In this episode I chat with Francis on ABC Grandstand how Sports Trendsmap cam together and I talk about some of the future plans we have for it. After a brief appearance by Kevin Naylor from Indiana Pacers to promote SEAT Conference I take a look at some advanced Facebook ad options using Custom Audiences. Why does SEAT conference have closed sessions? How you can increase app installs for you team mobile application. On iTunes? Subscribe to the Sports Geek Podcast in iTunes, if you liked the episode please leave comment or rating. If you have a question for the podcast please leave it using Speakpipe plugin on the left of this page. 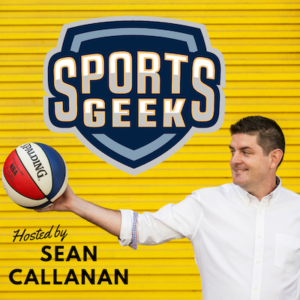 Search for “Sports Geek Podcast” on other podcast apps, please let me know if you can't find it.